Warehouses are utilised by a number of different industries. From manufacturers to wholesalers to transport businesses, this large building is often the main storage area and therefore an incredibly important asset for a company. Getting the most out of this space means using every inch of the warehouse to its full advantage. However, before you organise your warehouse around your products and equipment, bear in mind that there is a human component to warehouse organisation. A warehouse cannot operate without its staff. Integrating their daily tasks and responsibilities into your layout and management system optimises workflow and creates a culture of productivity. To learn more about how you can enhance warehouse operations, here are some quick and easy points to consider. A typical warehouse sees a constant flow of people, products, and lift equipment on a daily basis. This movement should be taken into account when improving the layout for optimisation. A warehouse’s layout should be designed to reflect its staff’s daily operations to increase its effectiveness and efficiency and to reduce delays and mistakes. Dust is a common problem for any space, but warehouses can attract a lot of dust which can prove harmful to workers who spend the majority of their time in the warehouse. In addition to dust, equipment that is haphazardly left lying around easily becomes a safety hazard. Both of these factors can lead to illnesses or injuries that are detrimental to your workers and your business. Establishing regular cleaning and equipment maintenance schedules reduce these risks while educating staff on the importance of workspace upkeep. Warehouse operations are only as effective and efficient as their operators. However, staff training often falls by the wayside, which increases the possibility of mistakes and accidents. Holding training sessions on particulars such as warehouse upkeep, inventory organisation, and safety rules and regulations and inform warehouse employees of how they should conduct their daily tasks for better results. It is hard to keep track of the day-to-day changes in inventory when there is already so much happening in a warehouse. However, not keeping an accurate, inventory causes problems in the long run because it raises the chances of misplaced products, equipment, reports, and other materials. 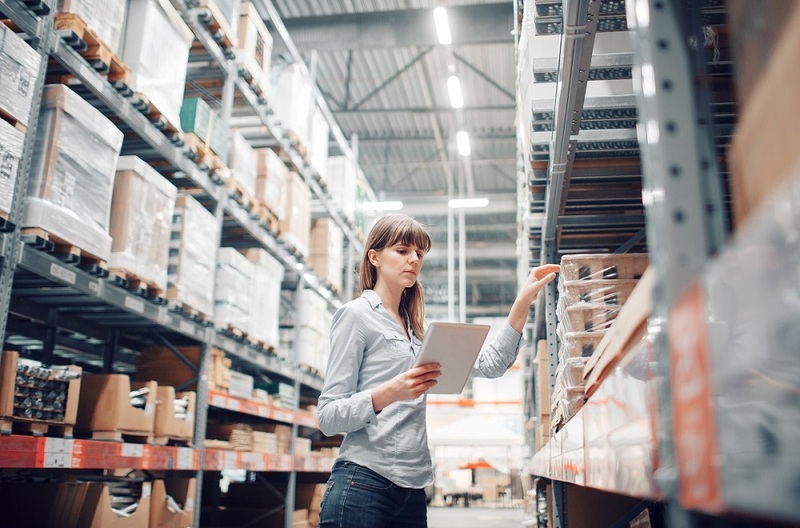 In addition to adopting a warehouse management system, business owners should implement a regular auditing schedule to keep track of business transactions, product inventory, and the overall maintenance of the building. Inventory organisation is the most important aspect of warehouse optimisation. When a warehouse is disorganised, it causes delays in shipping and delivery, decreases employee productivity, increases time-consuming tasks, creates an imbalance in supplies, and produces unnecessary costs. Pallet racking systems are not only designed to organise products, they also increase storage space and help warehouse operators quickly adapt to the constant changes in their inventory needs. We at Shelving Shop Group work with warehouse operators to provide them with safe and secure shelving solutions that are customised to their needs. From designing to manufacturing to installing the pallet racking system of your choice, our team of experts will work closely with you to help you maximise the full potential of your space. For any enquiries about our products and services, feel free to call us on 0800 180 280 or fill in this form: https://www.shelvingshopgroup.co.nz/contact-us/ to book an appointment.